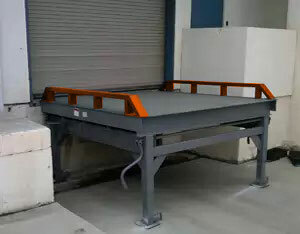 We are the leading manufacturer of these Portable Dock Platforms which are used for loading and unloading by extending extra length of the forklift Yard Ramp, these ramps are portable as it can be shifted easily at any place of your yard where a free stand loading dock will be required as more trucks and rail cars can be serviced while freeing up other dock doors . 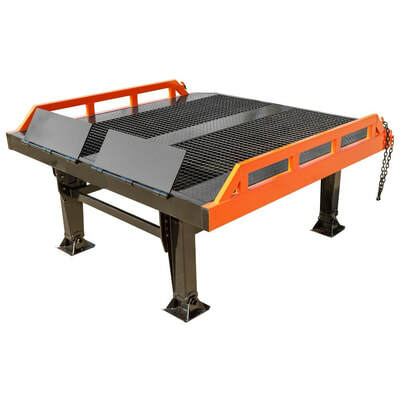 It is very safe, cost effective, value priced as well as convenient to all dock yards or ramps as the height of the landing jack can be adjusted from 1.4 Meters to 1.7 Meters, the steel mesh surface offers incredible traction in all weather conditions and makes it easy to keep clean, preventing rust and corrosion from forming. Able to load until 10 Tons, comes with 1 year structural Load Warranty.These Portable Loading Dock can also be used at 90 degree turn ability for safe forklift maneuvering. 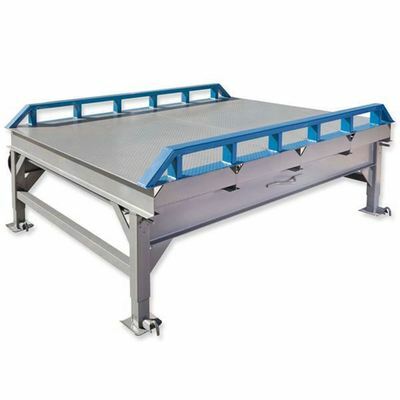 i, Level off addition - If somebody requires custom made level off this platform can help extend and join the slope and ramps. ii, Dock Leveler addition - The platform can be modified to add dock leveler or warehouse dock ramps so they do not have to build another cement based dock leveler which cannot be moved or sold. 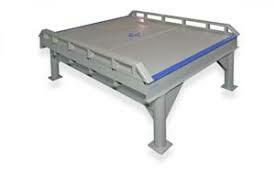 iii, Separate level off - The level off can be modified so two trucks can part at the same time and can be loaded/unloaded.